Fall State - Tier 8 - 10U White - is great! 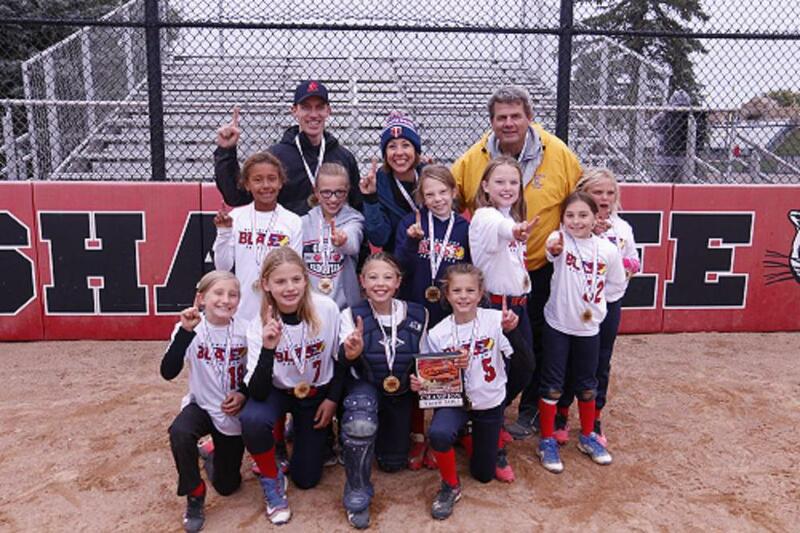 Congrats to 10U Blast White on their 1st place championship win in Tier 8 at Fall State! 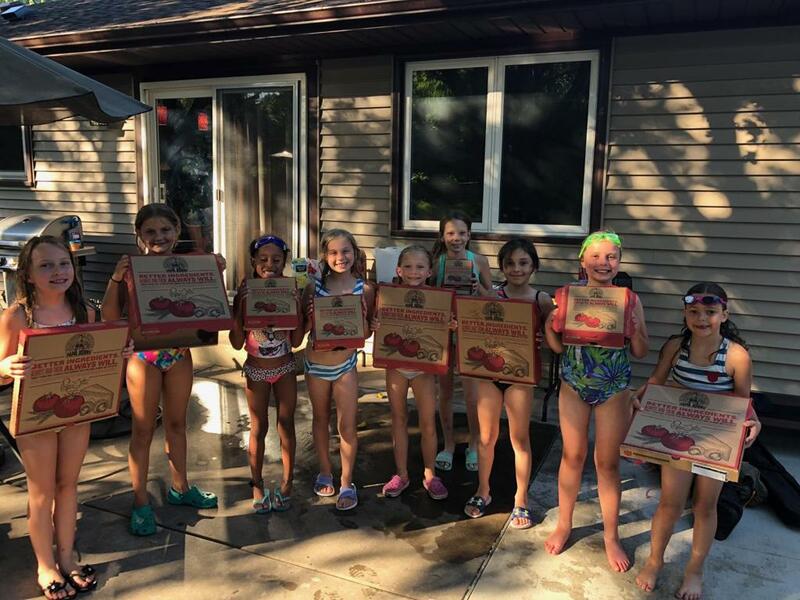 Congrats to 8U Red, 10U Blue and 10U Red for winning the Catch the Fire fundraiser pizza parties! Way to sell those raffle tickets ladies! 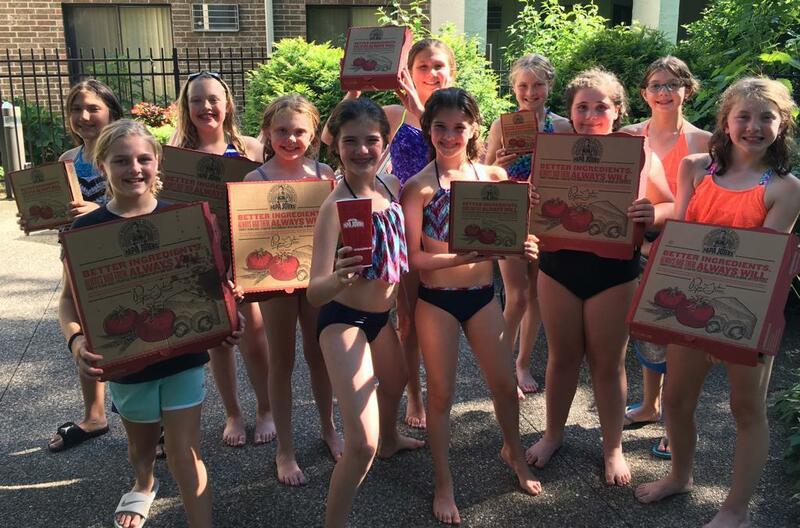 Congrats to 10U Red for winning the BLAST cheer contest! 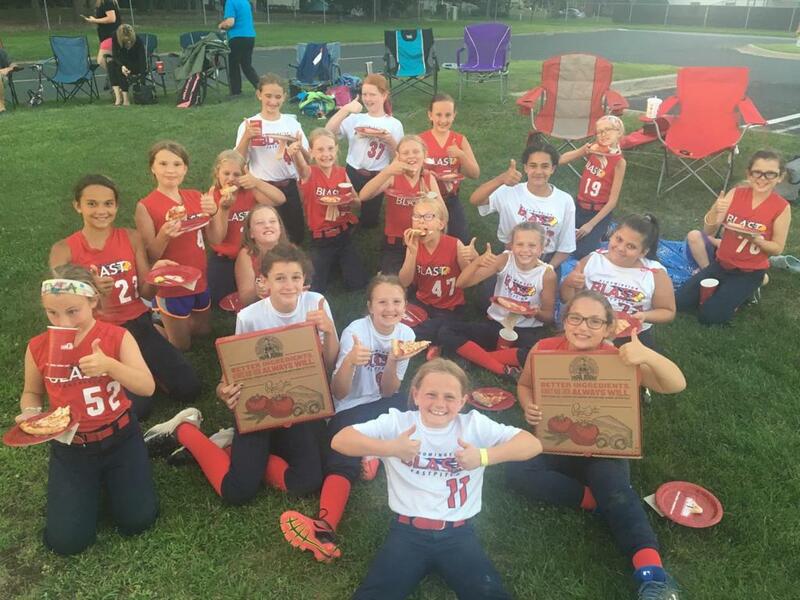 You get extra snaps for sharing your pizza party with the 10U Black team! 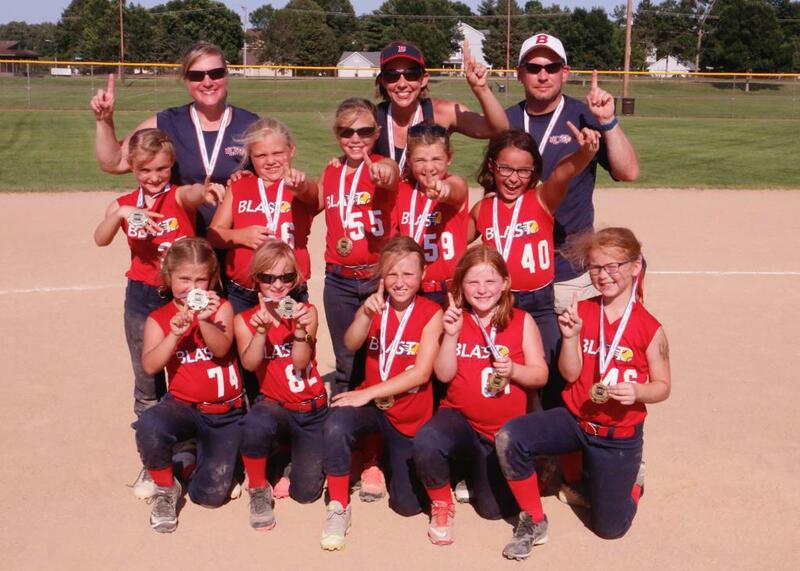 CONGRATULATIONS TO THE 10U BLAST RED TEAM!! 10u-A division! We are so proud of all the hard work that led up to this victory. You should be proud of a very successful season. Way to represent girls! 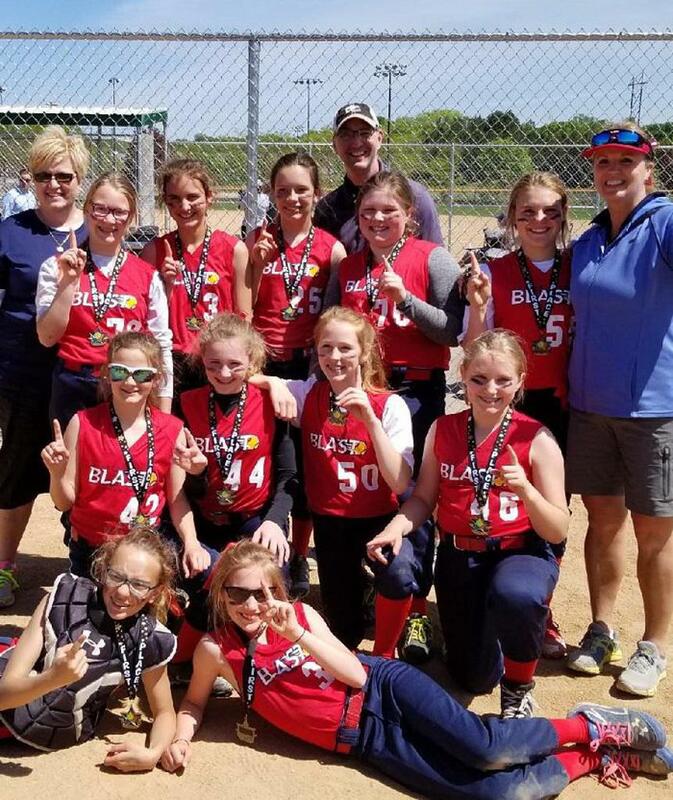 12U BLAST Blue finished 2nd at the Inaugural MOA 12A Championships. The team finished the season with an overall record of 41-16-2. 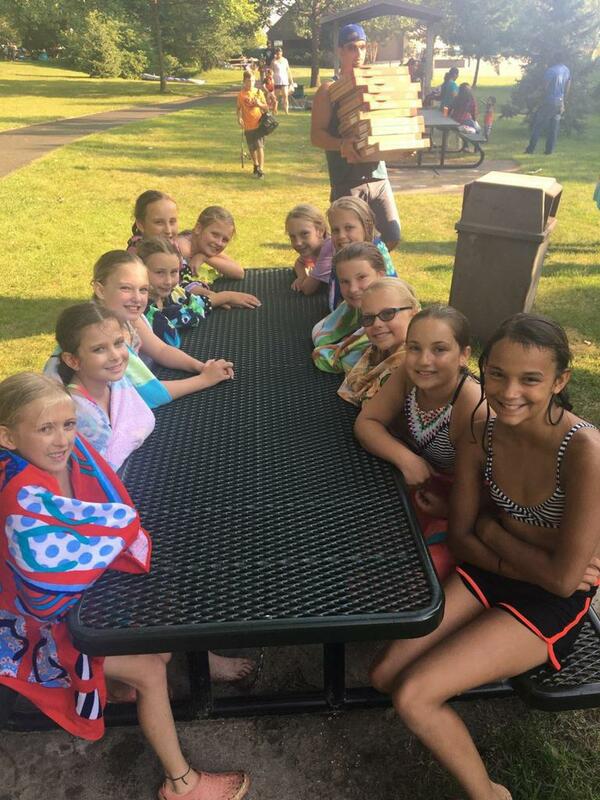 Picture L-R: Hannah B, Jackie L, Claire W, Macy G, Grace K, Katelyn M, Sophie R, Ava B, Grace A, Aaliyah L. Not Pictured: Peyton S, Katie E.
Woo hoo 12U Blast Blue! 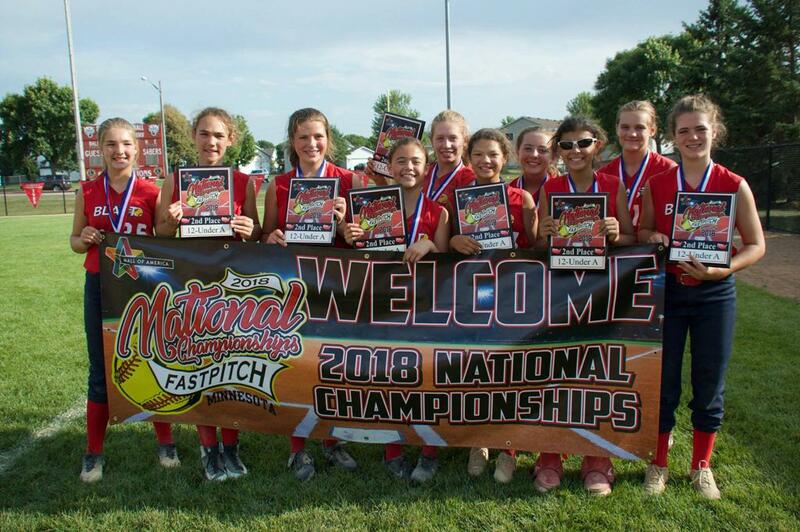 The 12U Blast Blue took 3rd place in the Gold Bracket at the NAFA Nationals! In their second elimination game verses a team from Manly Iowa, the team rallied from a 5-1 deficit to tie the game at 5 and force an international tie breaker. Down by one run in the tie breaker, the team scored 2 runs in the home half of the inning. 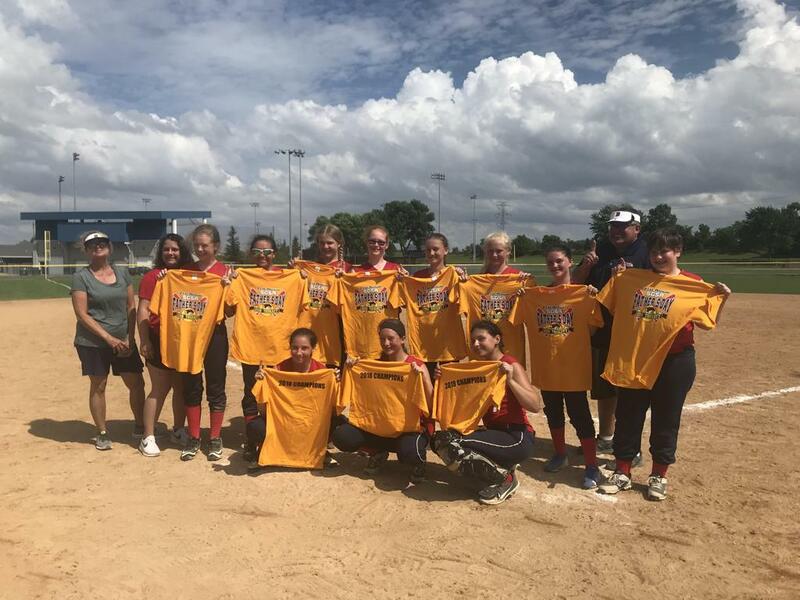 Front L-R: Peyton S, Macy G, Ava B, Katie E, Katelyn M. Back L-R: Hannah B, Grace A, Claire W, Jackie L, Sophie R, Grace K. Coaches: Jim K, Dennis R, Greg W.
8U Blast White took 1st place in the 2nd tier of the Gold division at the 8U State tournament. Way to win it White! FRONT L to R: Eleanor H, Rissa C, Ella F, Olivia P, Piper C BACK L to R: - Natalie H, Cat S, Cassidy G, Campbell L, Diana A COACHES: Anna C, Tiffany G, Dave P.
Big win in the Big West! 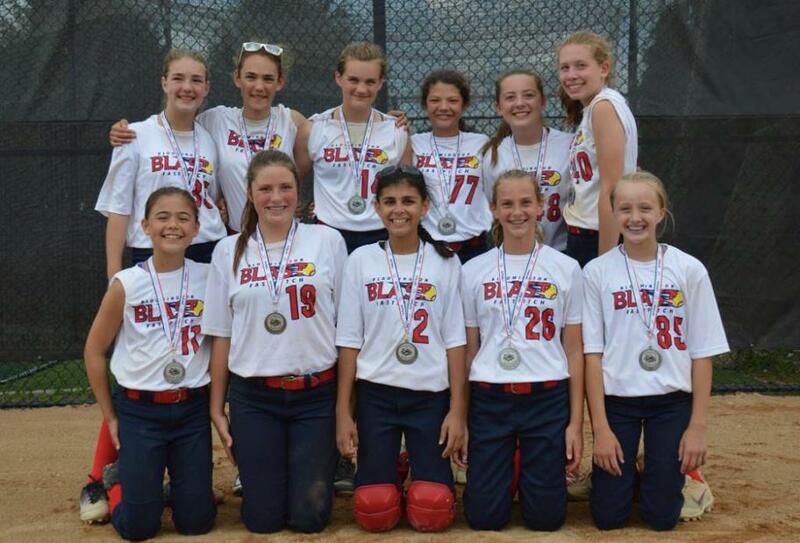 The 12U Blast Blue finished 2nd in the Big West 12u A State Qualifier Tournament. The team earned a top 4 seed in the Minnesota Softball Tier 1 State Tournament. FRONT L-R: Macy G, Claire W, Ava B, Katie E, Peyton S, BACK L-R: Hannah B, Jackie L, Grace A, Katelyn M, Sophie R, Grace K.
WAY TO BATTLE IN THE HEAT LADIES! 14U BLUE SILVER BRACKET CHAMPIONS! 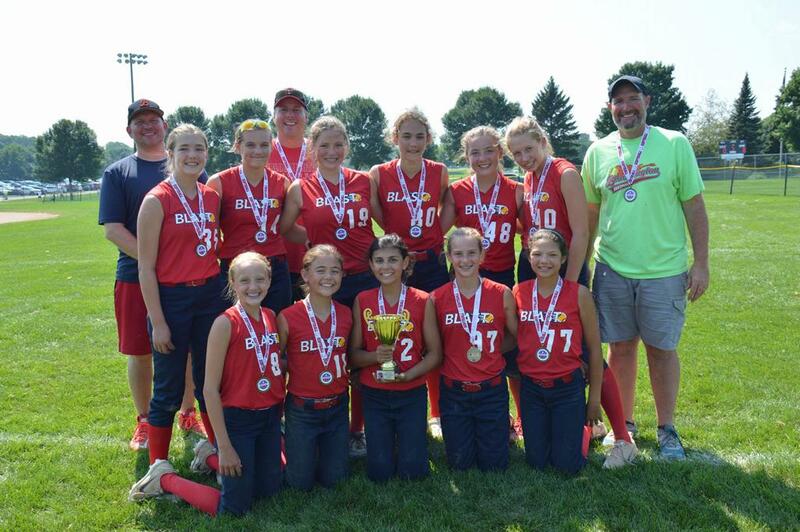 Congrats to 12U Bloomington Blast Red for winning the Gold Bracket consolation game at the Bloomington BASH! 8U White is oh so bright! 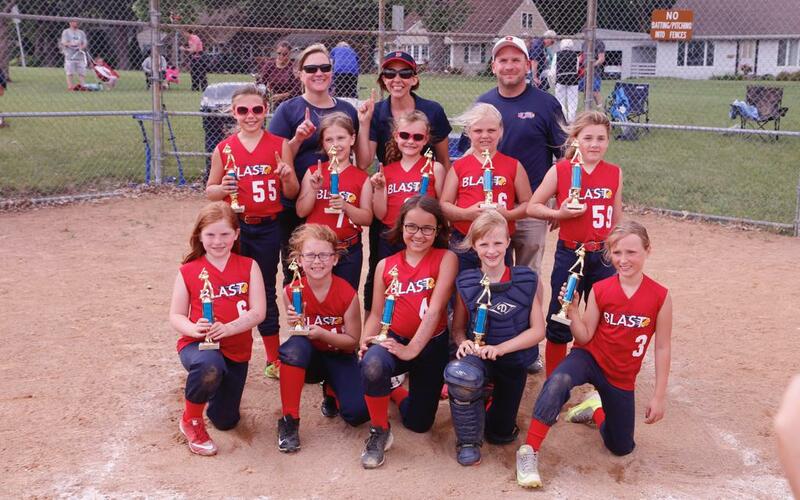 Congrats to 8U Blast White for taking 1st place in the Blue Division at the BASH tournament! Look at you - 10U Blue! 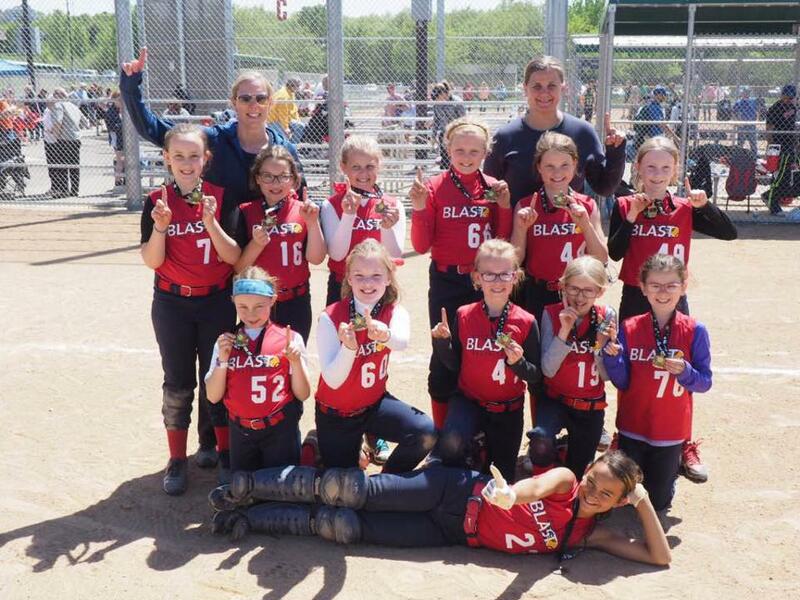 10U Blast Blue placed 2nd in the Platinum Bracket at the Bloomington Bash! Way to go ladies! 8U Black leads the pack! 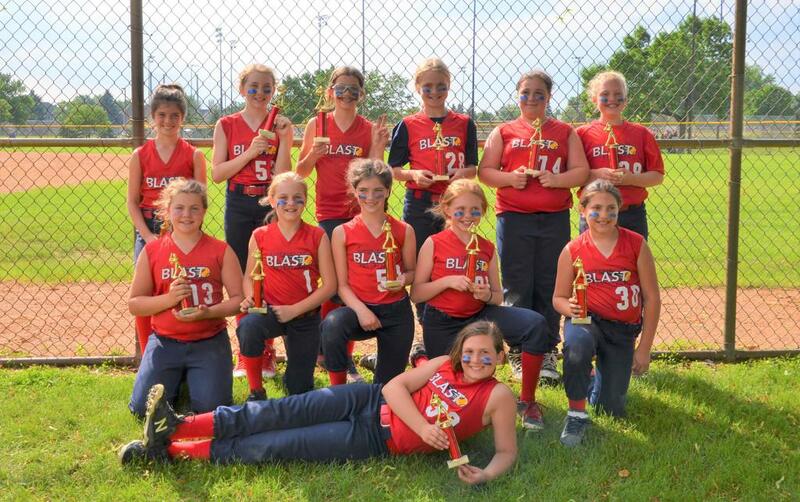 Congrats to 8U Blast Black for sweeping the Red Division in the BASH tournament! 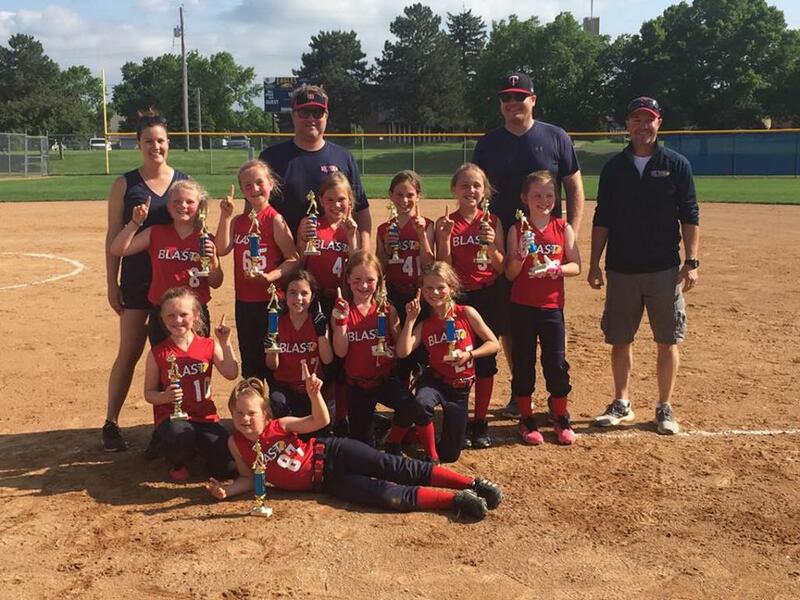 Congratulations to 10U Bloomington Blue on their Consolation Championship at the Farmington Frenzy this weekend. Way to bring home the hardware! 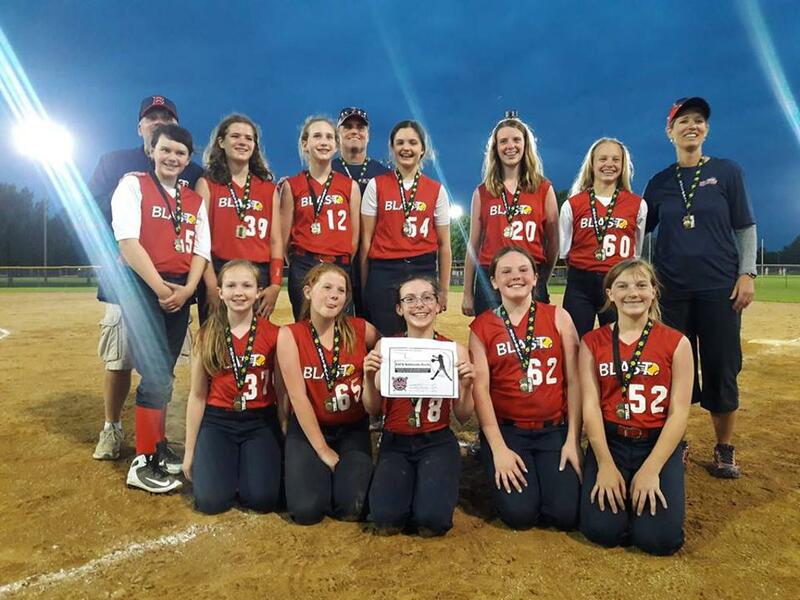 Congrats to 10U Blast Red for their 1st pace win in the silver bracket at the Burnsville Queen Bee tournament! The team clinched berths in both MOA Nationals and NAFA. Congrats to the Burnsville Queen Bee Gold Bracket Champs! This win comes with a berth to Nationals! 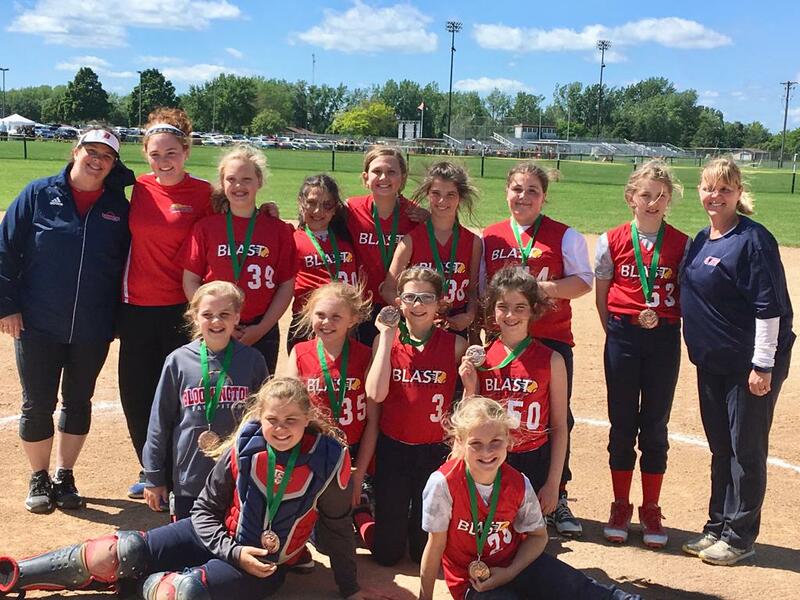 12U Blast Silver went 5-0 in the weekend tournament. 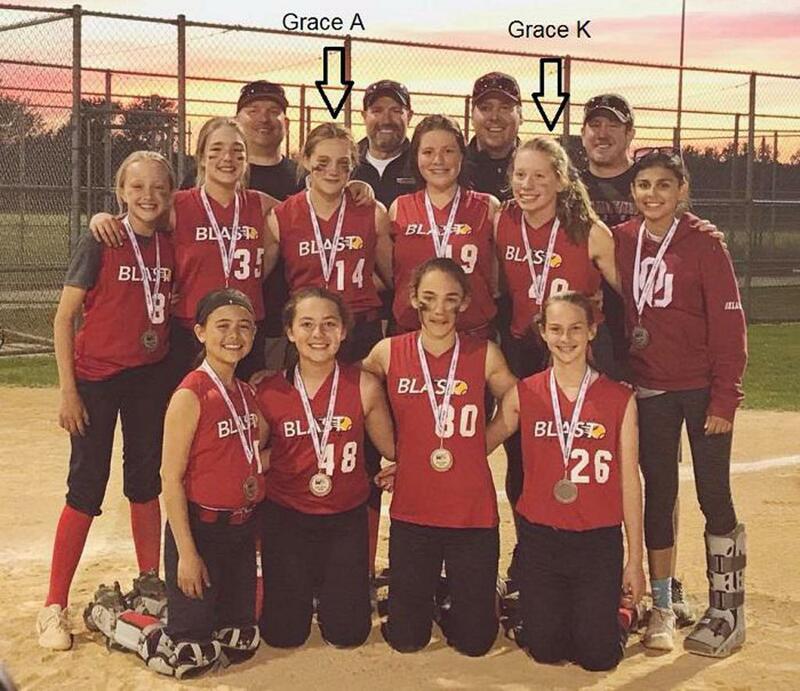 12U Blast Blue players Grace Anderson and Grace Kealy each hit their FIRST OVER THE FENCE HOMERUN in the Wayzata Warmup tournament! Congrats ladies!! The team went 5-1 and took 2nd in the gold bracket.